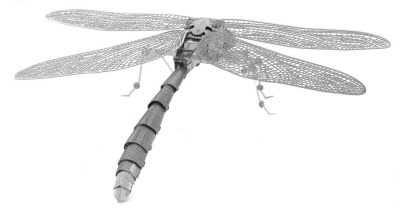 The dragonfly has large multifaceted eyes, two pairs of strong transparent wings and an elongated body. 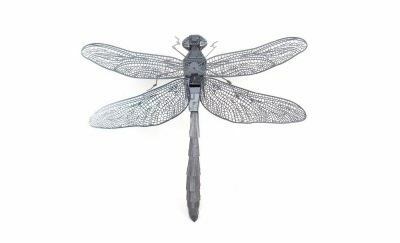 Dragonflies truly are one of the fastest flying insects in the world capable of attaining speeds of more than 40 miles per hour. They are important predators that eat mosquitoes and other small insects like flies, bees, ants and wasps. They are usually found around marshes, lakes, ponds, streams and wetlands. The model is 4.25x3.6x1.15 inches when built. Build your own 3d Model today.